If you’re on the hunt for a gluten free treat we’ve got great news for you. These days, no matter where you are in the world, you’ll likely be able to find a delicious gluten free dish to satisfy any craving. The best places to look when you go off in search of the best quality gluten free food include restaurants, coffee shops, cafes, supermarkets and of course specialist shops. Follow our tips and you can’t go wrong! Knowledge about gluten free diets is on the up, as many more people decide to avoid gluten for health reasons. This is great news for anyone who must avoid gluten, because it means that many more restaurants are catering to gluten free people. The key to finding a great gluten free restaurant is all in the communication. Make sure the restaurant team know about gluten free diets and are trained in how to avoid cross-contamination. Make sure your server knows about your dietary restrictions. And make sure you ask if they’ve got a gluten free menu! You might be surprised at how many restaurants do. Chain coffee shops such as Starbucks, Costa and Caffe Nero all offer gluten free options as standard now. You don’t need to worry about cross contamination either, because the gluten free food at these establishments is always pre-wrapped and prepared off-site. Look out for gluten free cakes, brownies, sandwiches and lots more. With the rise and rise of gluten free diets, supermarkets across the world have begun to cater for those avoiding gluten. Nowadays, if you head to any big supermarket, you’ll often find a ‘free from’ aisle, where there’ll be a fine selection of gluten free options, alongside food for other allergy sufferers such as those who must avoid nuts or dairy. The free from aisle is where you’ll find basics like gluten free bread and pasta, as well as more enticing treats like gluten free cakes, biscuits and other snacks. If you head to a specialist shop such as Whole Foods you’re likely to discover a very tempting range of gluten free treats indeed. Shops like these are known for catering for those with special diets, so whether you’re a coeliac or you’re gluten intolerant you’ll be in heaven when you find their gluten free section. We adore the Whole Foods gluten free cupcakes – who says you need to miss out when you skip the gluten?! Many people don’t realise that if you’re travelling by plane, you can also find gluten free meals. If you’re off on your travels soon, make sure you let your airline know at booking that you must follow a gluten free diet. Almost all airlines will be delighted to serve you a gluten free meal and gluten free snacks throughout your flight, so you won’t need to worry about bringing along your own food. The same applies to long-haul train journeys, so do investigate the options whenever you book a ticket. Gluten free food options have gone from strength to strength in recent years, and now the choices are limitless! It’s just a case of finding them. 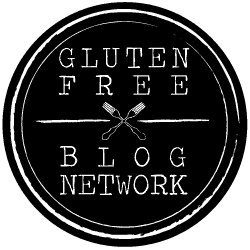 Make sure you check out the gluten free options in the supermarkets in your area, and if you’re off travelling just follow our tips and you’ll be able to find something to suit you, no matter where you are in the world. There’s no need to miss out on anything just because you’re gluten free!